Tonight's guest review is from the talented customizer Kyle Robinson - take it away, Kyle! 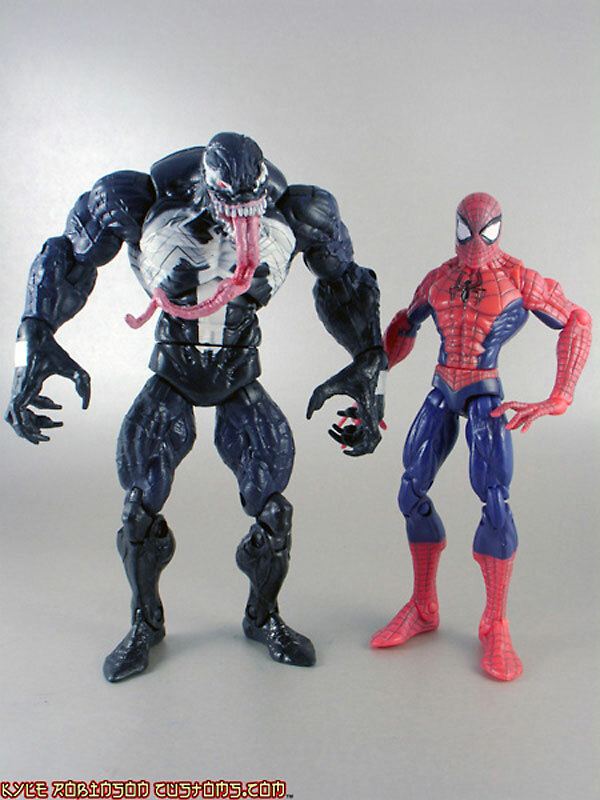 I picked up just Venom and regular ol’ Spidey. We will start with Spidey since he is lesser loved of the 2. I picked up Spidey because I planed on doing so from the day I seen him on TNI. He looked like he would make for a good Capcom style custom, but like most figures, his final project fell short of the what I accepted from the promo images. I picked him up anyway since he still has lots of potential. I really like the torso of the figure, and the over all proportions of the body Although the first nitpicks I have is that the hands are too big and he virtually has no neck for his oddly shaped head to sit on. you can consider the hands and head as good as gone once I really get into this figure for customizing. 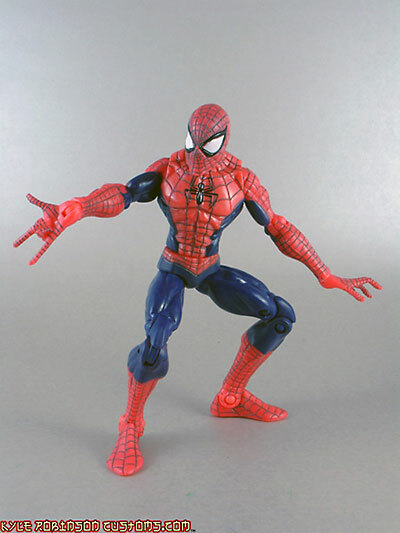 Now the articulation on Spidey is not too bad. He has about 16 POA which will make most collectors scoff, but he has it in all the right places with no half calf or mid forearm swivel along with very smooth double jointed knees and a waist pivot. He is lacking abdominal crunch articulation, but for the most part im not a big fan of that anyway since it takes away from the over all torso sculpt IMO. 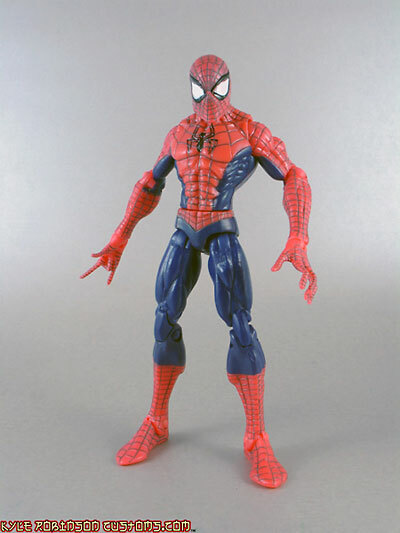 What Spidey is missing in the articulation dept. though is Ball jointed thighs and shoulders, this makes it impossible to rest his arms and do the splits properly. Not only did Hasbro leave out the ball jointed shoulder, but he has no upper biceps swivel to make up for it, this makes his arms very limited in their movement, on the only way to make a palm up pose is to rotate the wrist, the elbow will always be in the back. The head sits on a ball that jives him limited “look around” and the head pops off with nearly no effort, I think this is a bad thing since the head sits so low on the anti-neck that you cant even make him look up. Here is Venom! The one I have been waiting for, but once again, just a few things bug me a bout him which make him just short perfect. First of all, I HATE the stupid bug arm accessory, and your much better just throwing it out (or into he fodder box) It makes him very back heavy and barely even stays on anyway. Again I love the torso on this figure, the proportions and muscle sculpt are 2nd to none, it even has nice abdominal articulation that doesn’t really distract from the overall look. The paint apps on this guy are another thing, the face isn’t that bad, but the logo on his torso is messed up on all 3 that I have (yes, I liked him enough to buy 3 of them). The paint don logo has over spray all over and on his back all 4 spider legs on the left side are blended as one (again on all 3). They did give him some nice airbrush highlights though, over all paint job is tolerable. 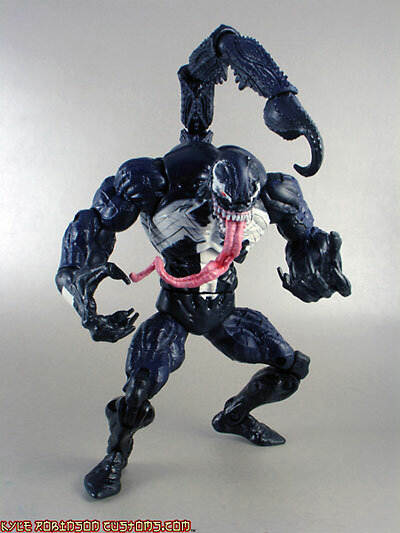 The articulation on Venom is alot like that on Spidey, No ball joints and cant rest arms or do proper splits. He has single jointed elbows like spider and double jointed knees. No pointless articulation, but still not all the proper POA needed for agile characters. The head is properly done with a ball joint you cant pop off just by dropping it, pretty good movement too. 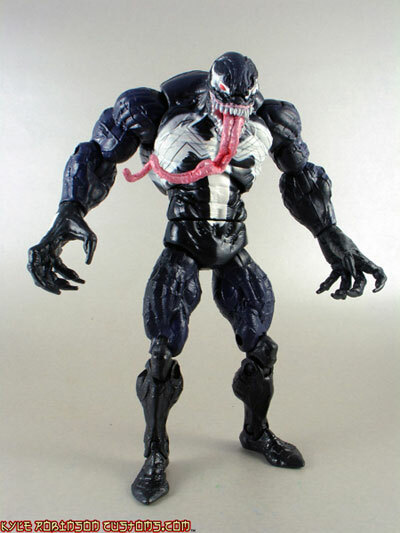 You can expect me to make a better venom from this (along with a Sabretooth and Blackheart) but as a collector I would be just fine with him as my new Venom. Over all I give 3 out of 4 stars. 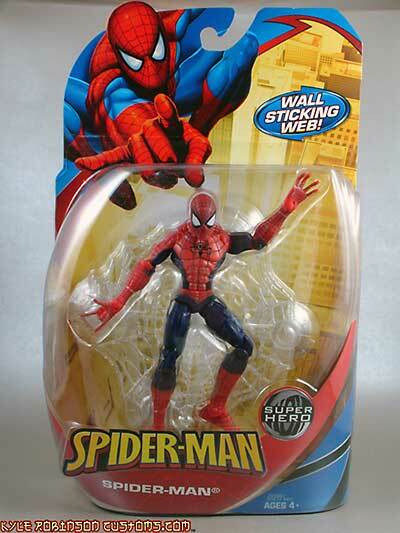 All figures come in minimal packaging, and seem to not be aimed at the collector market such as Marvel Legends. But they fit right in with your ML figures and do the job well. I have a feeling this Venom will be popular, so make sure you snag yours up soon. Thats it for my Review, hope you learned something. Figure from the collection of Kyle Robinson.